The Freddy Krueger vs. Jason Voorhees film was a disappointment for all horror fans’ high expectations, but who wouldn’t love to rewatch those death scenes? 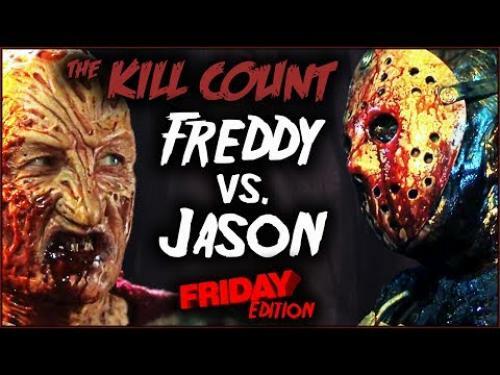 Here is the Freddy vs. Jason (2003) kill count from Dead Meat. I had a blast just watching these scenes because let’s face it, who wants to sit through this entire horror film again? Official Synopsis: It's been nearly ten years since Freddy Krueger terrorized people in the dreams, and the towns folk want to keep him erased from their memory. Freddy still has one more plan on getting back to Elm Street. He resurrects Jason Voorhees and sends him off to kill. 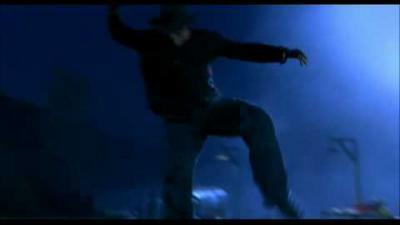 The more bodies which fall to the ground, the stronger in which Freddy becomes. This is until, Freddy realizes that Jason isn't going to step aside easily, and must be taken down himself.